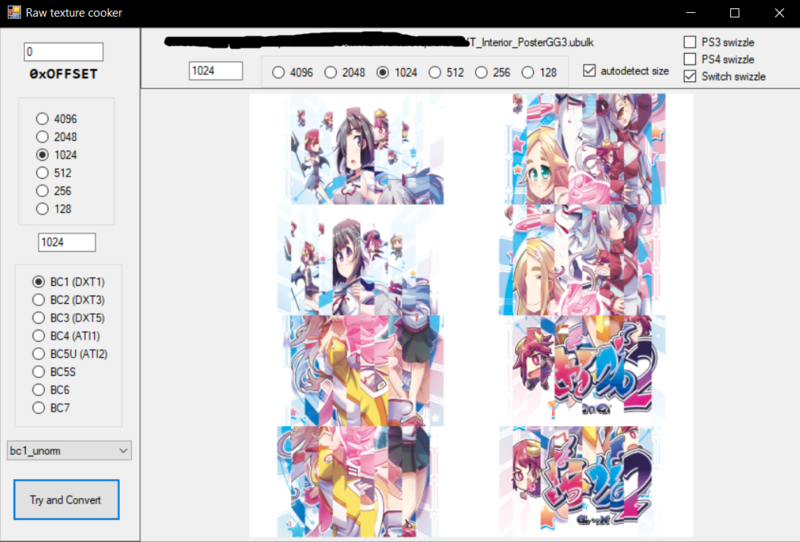 I am trying to modify some textures from the Switch version of Gal*Gun2 but the Switch swizzle makes this kind of difficult. This way I can extract the original textures but I have no idea how I would reimport them. Could this be done with a bms script? File comment: Here's the poster if you wanna have a go at it.